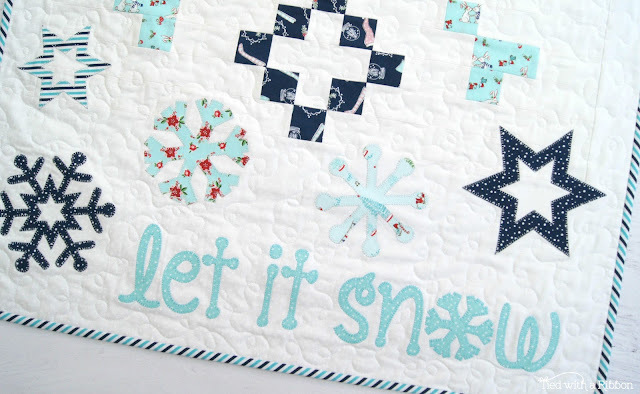 I have long been a fan of Tasha Noel and her wonderful designs. 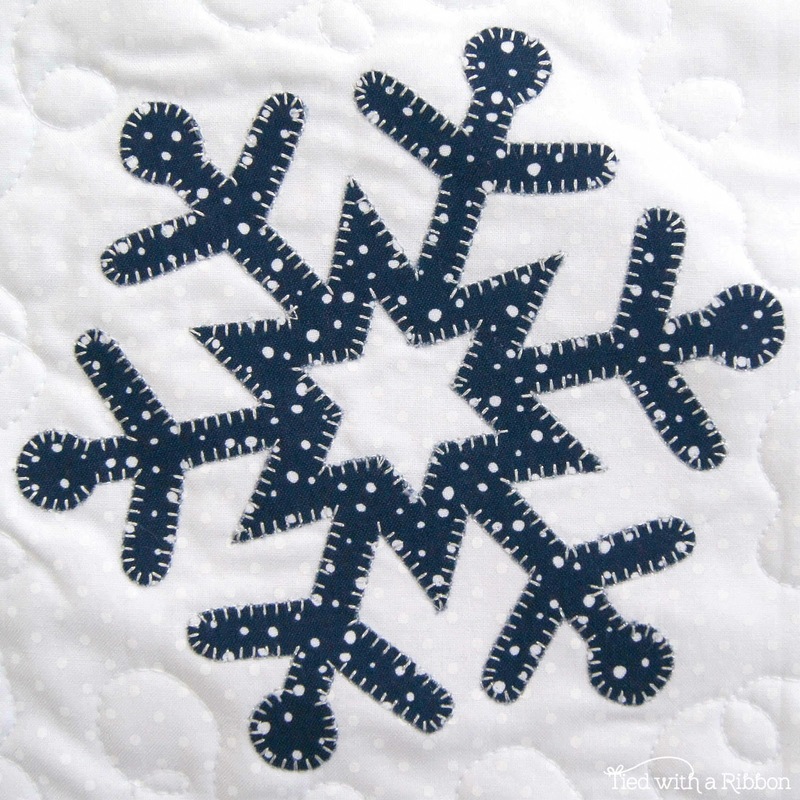 One of the first patterns I designed as Tied with a Ribbon was using Tasha's ranges and I have been in love ever since. 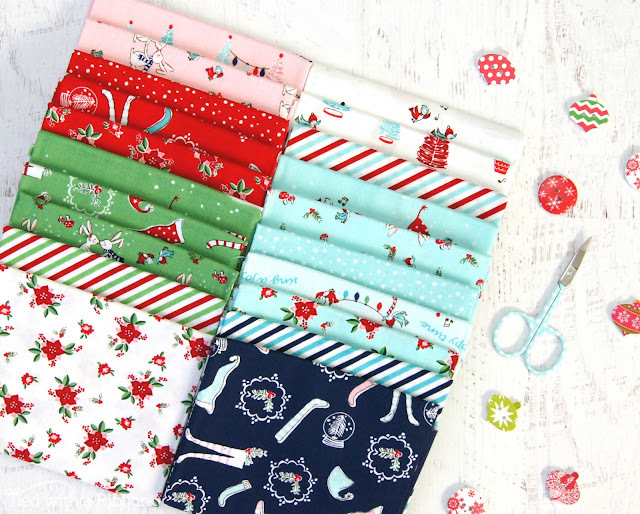 Tasha has such a whimsical and distinct feel for her fabrics and this range - Pixie Noel is just the perfect mix of prints for Christmas. 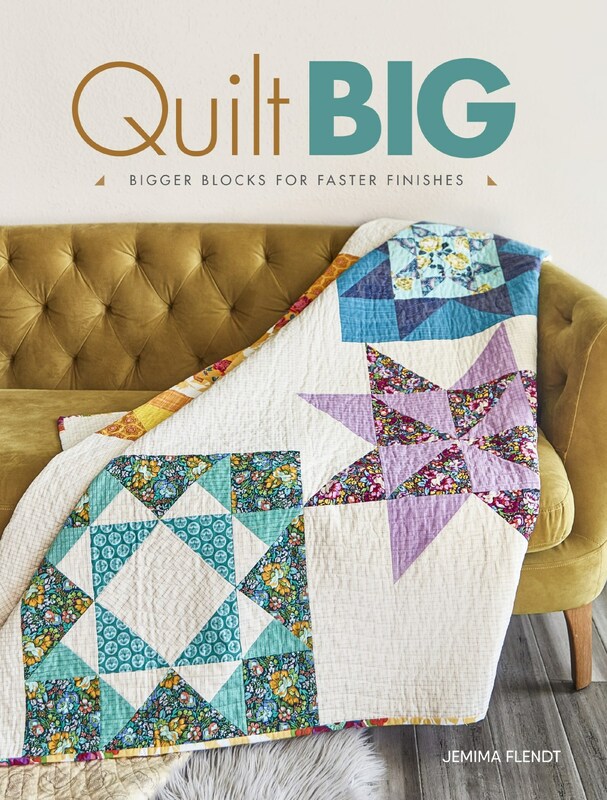 Pixie Noel is Tasha's later range for Riley Blake Fabrics and today is my stop on the Blog Tour. 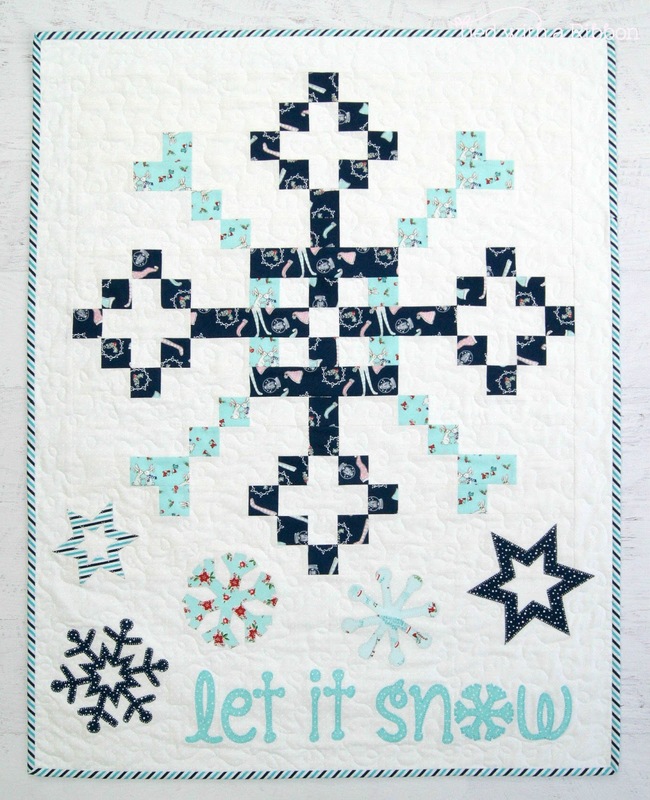 I was immediately drawn to the Dark Blues and Aqua's in this range to create a modern Christmas design. There are the sweetest little bunnies, cute Pixie's and their clothes as well as birds and all the traditional Christmas flora. 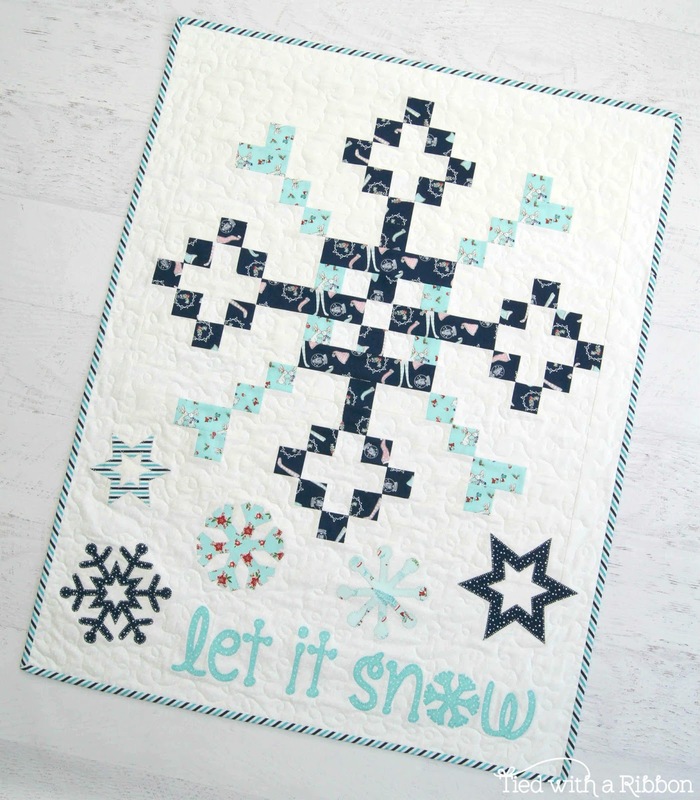 I just love these blue colours and they were perfect for a Snow inspired design. The "Pixie Bunnies" print is my favourite. I decided to combine Machine Piecing with Appliqué for this fun and new Christmas Wall Hanging/Mini Quilt. 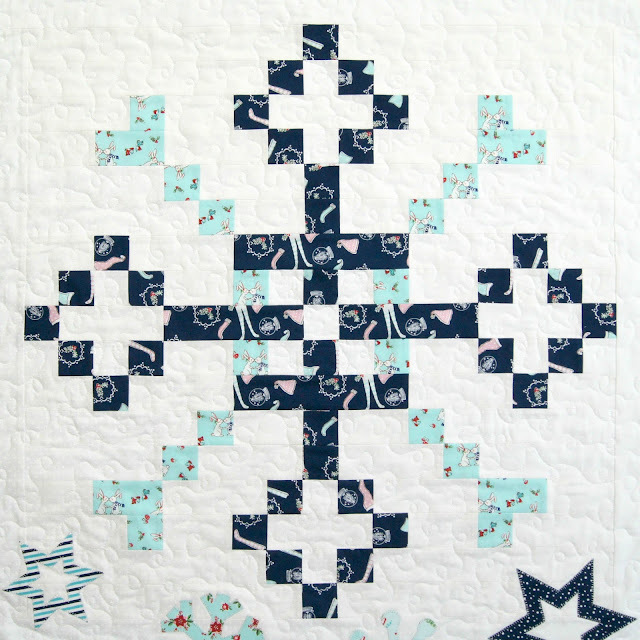 With Snowflakes as my inspiration this design came together dreaming of a "White Christmas". And of course I had to add some sparkle using Aurifil Brillo #800 as the perfect Silver metallic. I really love using these metallic threads - they can be used in your machine and I have not even needed to use a metallic needle. They work beautiful through the machine and I have had no trouble at all with any snapping, shredding or breaking as I am using these threads. My latest pattern - "Let it Snow" Christmas Wall Hanging is now available as a PDF pattern in my store. 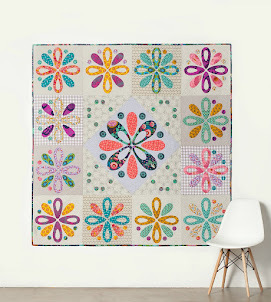 This pattern is also available wholesale through Creative Abundance. 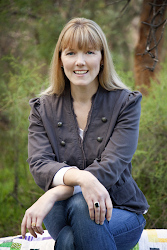 Pixie Noel is now available in stores and in Australia is distributed through Millhouse Collections. I can't wait to get sewing with the other prints in this range and have lots of other Christmas sewing on the agenda. 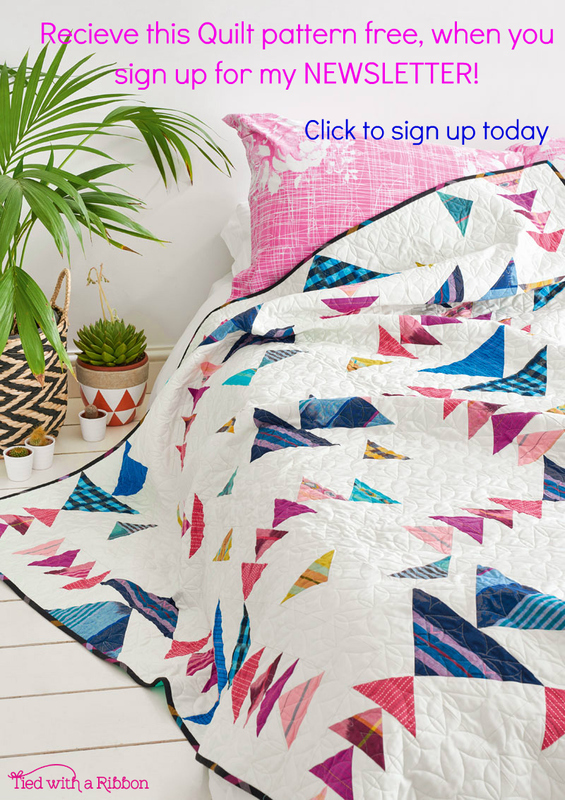 You can see all the other Pixie Noel Blog sewing going on over at #pixienoelblogtour, #pixienoel and @tashanoel1.